The Devon & Jones Men’s Tall Crown Collection™ Solid Long-Sleeve Broadcloth is available in Sizes: XLT-3XT and comes in the following colors: Black, French Blue, Navy and White. SKU: AB-D620T Categories: Activewear, Corporate Apparel, Men's Corporate Apparel, Men's Corporate Shirts, Woven Shirts, Woven Shirts, Wrinkle-Resistant, Men's Clothing, Outerwear, Shop by Color, Black, Blue, Navy, White Tags: men's clothing, woven shirts, wrinkle-resistant Brands: Devon & Jones. 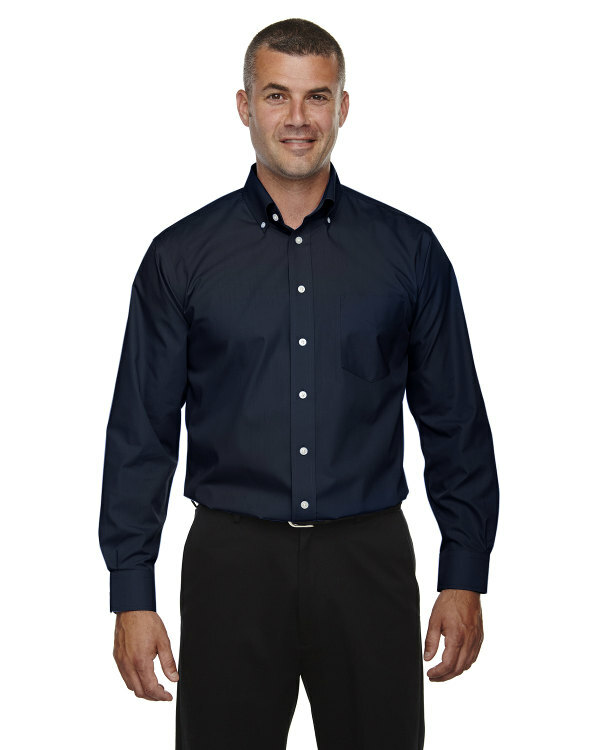 This classic fit Men’s Tall Crown Collection™ Solid Long-Sleeve Broadcloth has True Non-iron performance straight from the dryer and is suitable for premier corporate outfitting, business lifestyle, tradeshows, and events. Our Men’s Tall Crown Collection™ also has wrinkle-free perfection keeping you looking polished and professional all day long and stain-release function provides protection against stains and soil.